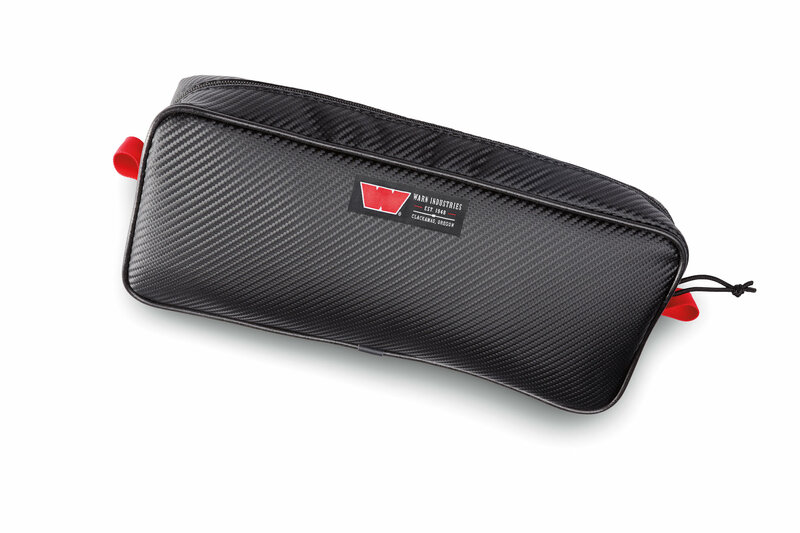 If you have any type of seat cover, seat or whatever else the accepts MOLLE bags in your Jeep then Warn's Epic Trail Gear MOLLE Storage Bag would make a welcome addition to your off-road rig. Made from quality marine grade vinyl with premium zippers and straps this bag will stand up to rugged conditions giving you a great bag to store whatever you need to bring along with you on your next trip. 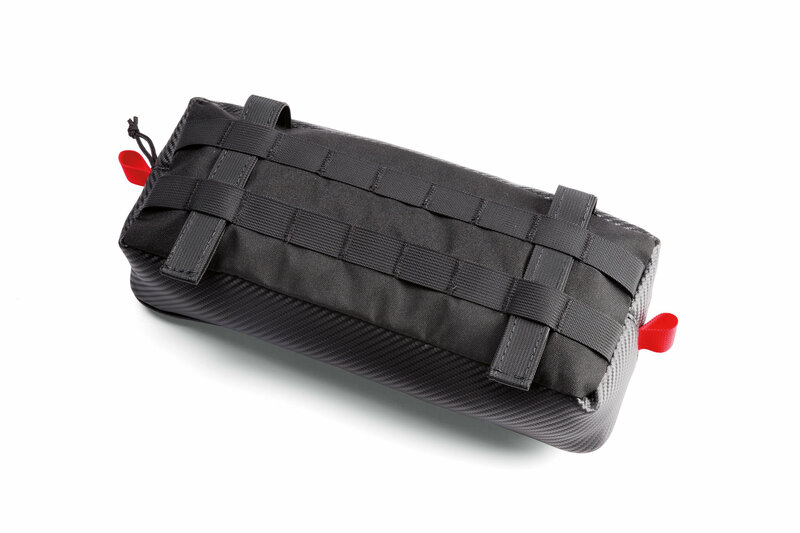 Premium Quality:Made from marine grade vinyl and high grade zippers these epic gear bags will stand up to all types of conditions and abuse. UV resistant fabric make sure that your bags will not fade and look good for years to come. Interior Storage: Keep your Jeep clean and clutter free with the ability to store things like your phone, trail maps or whatever else you can fit in it. Installation: This bag is to be used with type of cover or seat that accepts MOLLE bags such as seat cover or roll bar covers. 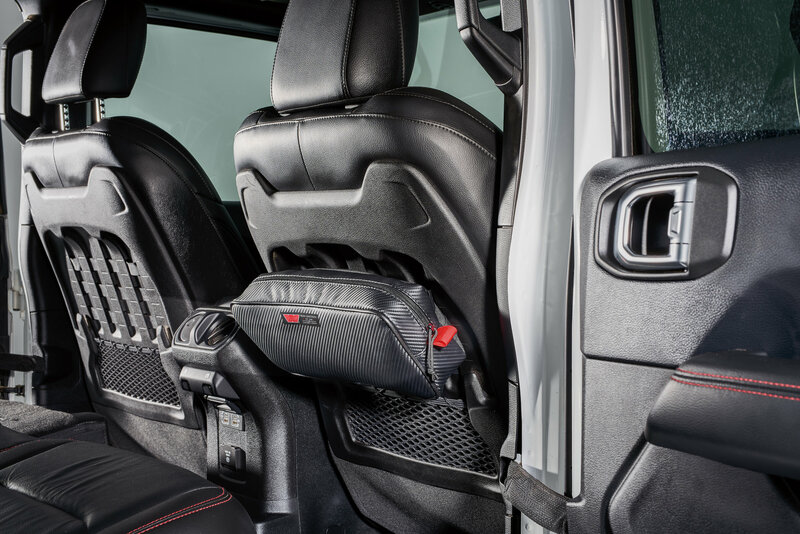 The Wrangler JL Rubicon's seat back has attachments as well.